The 2019 National Biodiesel Conference & Expo lifted off Tuesday in San Diego with inspirational remarks from industry leadership. 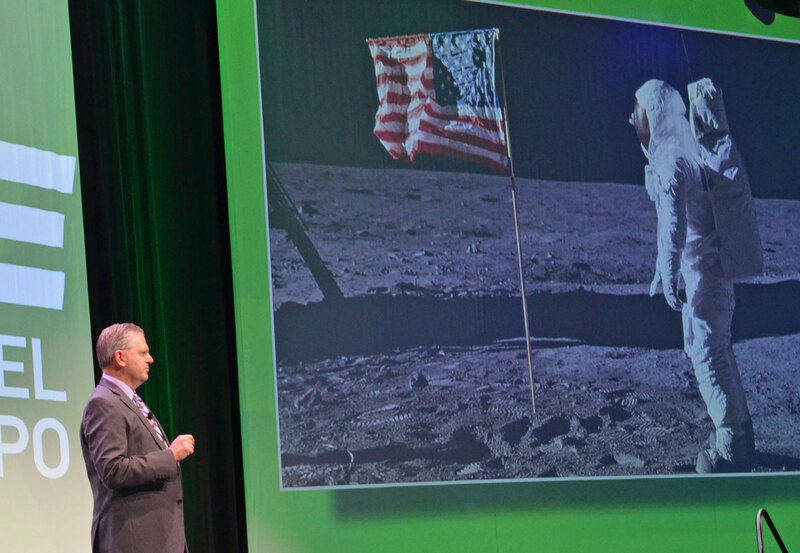 Acknowledging 2019 as the 50th anniversary of Apollo 11’s moon landing, National Biodiesel Board CEO Donnell Rehagen drew comparisons between the tenacity of the space program and U.S. biodiesel producers’ own efforts to get the first commercially available advanced biofuel industry off the ground. He pointed to Coachella-based Imperial Western Products and manager Curtis Wright as one of the many pioneers of the industry, explaining they had to overcome many obstacles in launching their new biodiesel product line at the turn of the century. 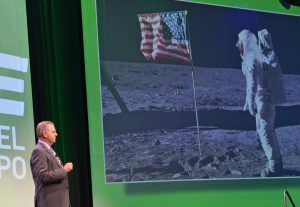 “Just like with the race to the moon, I am sure there were times throughout the research and development phase, where it would have been perfectly understandable for the leaders to say, ‘this can’t be done,’ ‘this is not happening as fast as we want,’ ‘this is costing us too much,’” Rehagen said. This is the fifth time the conference has been hosted in the Golden State and the third time in San Diego, noting the significance of the California renewable fuels market. The inaugural National Biodiesel Conference was launched in Palm Springs in 2004 and the event was held once in San Francisco. 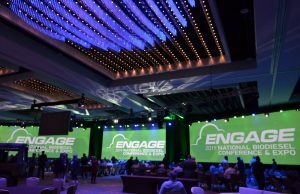 Photos from the conference are being updated each day.